Summer 1 will see us ‘Diggin’ for Dinos’! We will be exploring habitats and how different habitats are suited to certain dinosaurs. We will also be looking at how dinosaurs were adapted to their habitat. 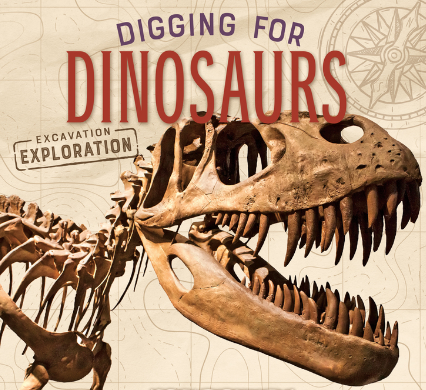 Children will become enthusiastic, expert palaeontologist! Learning about the fascinating creatures that inhabited the Earth and studying fossils. This half term, we will be linking our topic to our literacy and looking at different dinosaur texts. Firstly we will be looking at dinosaur poetry. We will recite and perform our poems and then innovate our own verse, using the structure of the poem we have learnt. We will then move onto writing our own dinosaur narrative. We will be then focusing on writing non-chronological reports linking and drawing upon our scientific knowledge of habitats to design and create our own dinosaur writing a report all about it. Recognise and finding a half, quarter and a third. Looking at unit and non-unit fractions. Equivalence of ½ and 2/4. Recapping on o’clock and half past. Quarter to and quarter past. Minutes in an hour, hours in a day. We are continuing with the gratitude module of My Happy Mind. This module is all about teaching children the importance of gratitude. It looks at a number of elements of gratitude including: • What happens in our brain when we give and receive gratitude. The gratitude wheel - this is a way to think about the types of gratitude that children should try to take the time to notice: •Yourself •Others •Experiences - using happy breathing as a vehicle here, children are encouraged to stop and think about the simple, everyday experiences that they have e.g. eating, listening , etc. We will talk about the fact that when you give or receive gratitude it makes you feel good and link this to Team H-A-P. The science here is that when you give or receive gratitude the neurotransmitter dopamine is released which, makes us feel good. We will be linking this with our class meetings and have an appreciation box where we share our appreciation of one another.